An award that she got several times for his great voice and quality in their works . Her debut album in 1985 was the most successful by a female artist, becoming a unique and genuine artist shining with the intensity of a star itself. Influenced by artists such as Chaka Khan and Aretha Franklin, owned a beautiful and marvelous vocal range, a real gift in the 80's and 90's, perfectly harmonized to achieve masterful interpretations, capable of meeting notes fascinatingly acute and that led her to be known as "The voice". His debut album was that open door that opened wide showing a young woman who take on the world, big ballad pop/soul, with dance themes that achieved commercial success and the unstoppable rise of a diva of 22 years. Her participation as an actress with Kevin Costner in "The Bodyguard" 1992, the soundtrack of that film and the song "I will always love you", one of the most memorable and best-selling single by a female artist in music history. 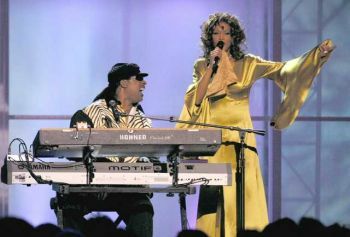 Other interventions and soundtracks as "Preacher's Wife" 1996, "Waiting to Exhale" 1995, numerous numbers 1, 30 Billboard Music Awards, 22 American Music Awards, two Emmy Awards and so to several hundred more have become one of the most laureate solo artist in the history. 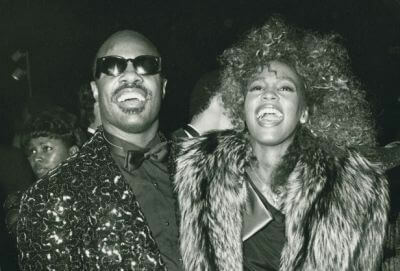 Her decline with the arrival of the new century as a result of drugs, and his tortuous personal life which includes his marriage with Bobby Brown, made her fall into a deep well and very hard to leave. His new attempts in 2009 to retake the reins of his life and his musical career did not reach the desired expectations. His voice no longer shone at the same height, and so many years disconnected from reality they took their toll. Still, in her future she was going back return as an actress in a new movie, "Sparkle", and her participation in her soundtrack with "Eyes on the Sparrow", the classic gospel and "Celebrate", a new song composed by R Kelly that sounds In the final credits. A future truncated once more prematurely and unannounced , with a star that laid its feet on quicksand extinguishing its brightness. A meteoric race that took her to the top, but that nevertheless ends up practically ruined. 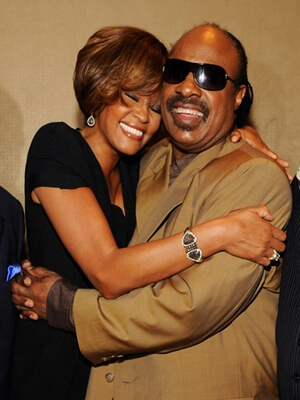 In our memory will be many of his songs and also collaborations with Stevie Wonder. A relationship always positive and endearing that it resulted in musical collaborations such as the All-Star diva Tribute To Stevie Wonder or songs like "That's What Friends Are For" also with Dionne Warwick and Luther Vandross, and "I Was Made to Love Him" and "We Didn't Know" in the 90's, where we can appreciate the complicity and mutual affection to be had. We have left a star hurt by life, but surely Heaven has recovered an angel.